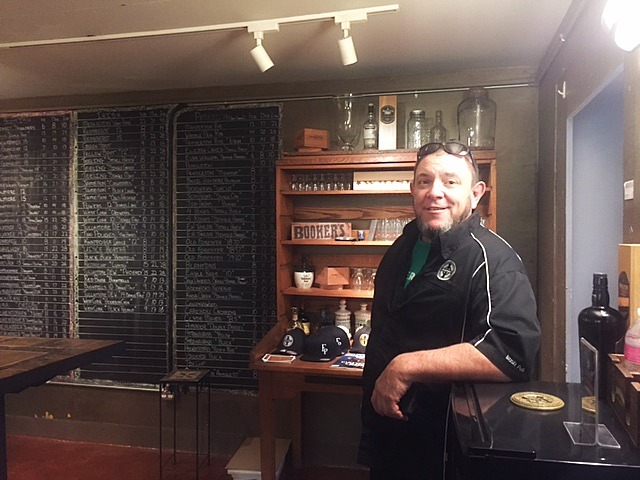 Proud owner Patrick Redmond says he labored to make it feel like the traditional community gathering place that Irish pubs have always been, going so far as to attack the spacious room with power tools to create the illusion of wear. The result is truly impressive. Somehow, the majestic turn-of-the-century bank interior meshes perfectly with the lovingly built pub. Everything from the scuffed wood floor to the Irish blessings on the walls evokes the kind of place where people meet and tell stories while sipping a pint. When he was 18, Redmond went on a trip to Scotland and was charmed by the pubs there. Since then, he’s lived a lifetime: raising a family, running businesses and establishing himself as a long-time Woodland resident. But he never forgot those pubs, and decades later when he was finally in a position to fulfill his dream, he says “everything just fell into place.” The old bank became available, and the community rallied around him to help make it happen. It’s part of a revitalization of downtown Woodland, cultivating small businesses started up by creative entrepreneurs. New storefronts seem to spontaneously appear at an increasing rate every year. This has resulted in a bustling district while still keeping the integrity of the centuries-old buildings that make Main Street a gracious avenue. Travelers staying at the four freeway-adjacent hotels a mile away—many just staying overnight on their way to and from the airport—are starting to discover its charm. 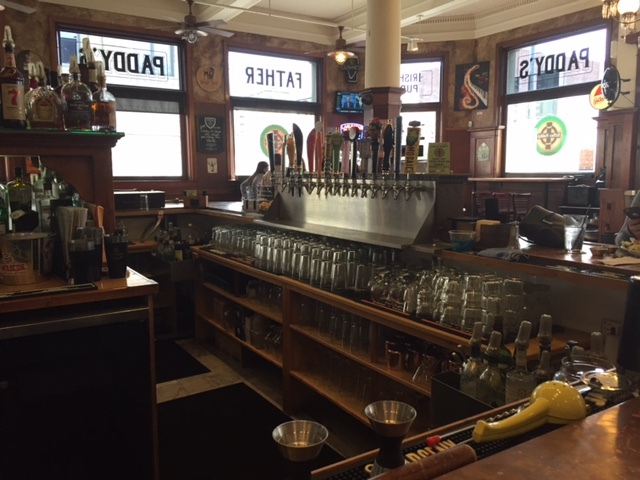 Father Paddy’s is just the kind of “locals’ secret” that visitors look for. It’s Woodlanders that are making it happen, restoring buildings left and right and creating signature shopping and dining options. And Patrick Redmond and his wife Kathy are good at making things happen. On the pub’s little corner stage, bands play on weekend nights and all throughout the week. Group meetings take place in the small nook by the window or around the fireplace. In addition to the high-quality spirits found here, one can enjoy traditional comfort foods like shepherd’s pie, fish n’ chips, bangers and mash, and good old Irish stew. And now Father Paddy’s has introduced a bi-monthly private whiskey feast, pairing a fine whiskey with original off-menu dishes from the kitchen for a lucky group of 50 people, by reservation only. Whiskey is Redmond’s passion. Like all his passions, he has researched it feverishly until he knows more about it than almost anyone, and he continues to learn. 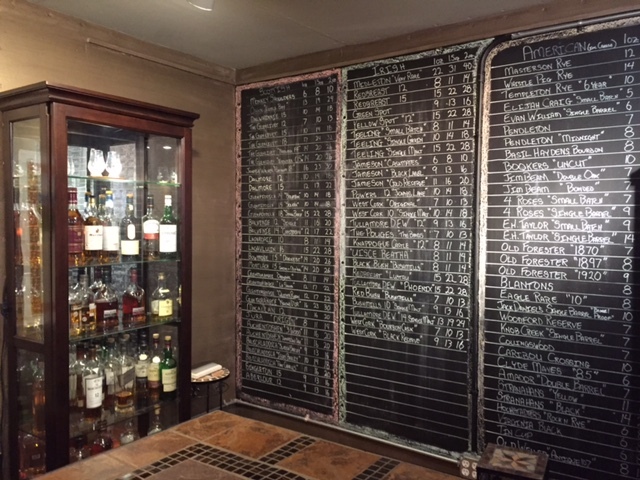 In the gorgeous old bank vault, the “Whiskey Education & Tasting Room” gleams with the bottles of more than 90 hand-selected varieties of whiskey. You’d have to travel to San Francisco to find anything close to this, but it probably wouldn’t be in a cool bank vault like this one. Redmond plans on adding a beer dinner to the calendar, pairing a selected beer with dishes that highlight and complement its flavors. These feasts always sell out, so you have to jump on it pretty quickly. You can contact Father Paddy’s if you want to get on the invitation list for these special evenings. In addition to amazing food and an extensive whiskey collection, Father Paddy’s also offers us live music Thursdays through Saturdays. Check out the March line up here. Learn more about Father Paddy’s and his Irish foodie experience by visiting his website or Facebook page for more info!